As the year 1900 comes to an end, Berylda Jones reluctantly leaves her life and friends at university in Sydney for Bathurst where she finds her sister Greta’s situation is far worse than she ever imagined. Facing an uncertain future of her own thanks to her sadistic Uncle Alec, Berylda concocts a plan to free herself and Greta once and for all. Ben Wilberry is on his way west in search of a native wild flower, keeping a final promise he made to his mother. Travelling with his friend Cosmo, Ben happens upon the Jones sisters and their smarmy uncle by chance on New Years Eve. Thanks to Ben’s well-known last name, he and Cosmo are invited to dinner. Ben becomes enchanted by Berylda and the two travellers agree to accompany the sisters on a short trip out of Bathurst. Hill End is a former gold mine town, now quickly becoming a ghost town, with its own dark secrets. It is here Berylda will find the means to cure evil and a solution to what seems an impossible situation. But what she didn’t count on, was finding so much more in Ben Wilberry. 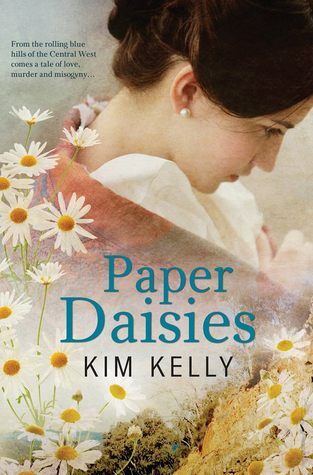 Kim Kelly has written an intriguing story. She manages to capture the backdrop of early Australian federation without being overly heavy-handed. The difficulties facing people of non-white racial origins, the differences in societal class, and women’s roles were handled well. The characters were vivid, even if they weren’t all likeable. Berylda is a strong female protagonist and she doesn’t always do what you expect or want her to. I love that for once the male protagonist wasn’t an “alpha”. Ben is an irregular man, a flower lover, with regular fear, concerns, wants, and goals of his own. Cosmo, as the comic relief (although it wasn’t his only role and he raised some very important points), was by far my favourite character. I wasn’t sure about Greta until the end of the novel, although I felt, given what happened to her, that she and her sister should have talked more – especially given they were meant to be so close. I understand why this wasn’t done, but it did mean that I felt there was something missing throughout the story. I felt the romance was a little light, given the events that happen towards the end of the novel, but as historical fiction, this was an enjoyable read. I give this 3.5★ (rounded up on Goodreads and the like).